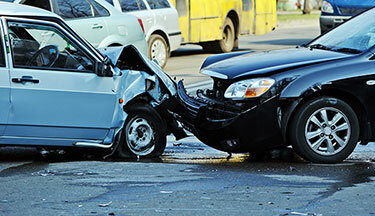 Home » Personal Injury FAQs » Where do Most Car Accidents Happen? It can be difficult to predict when and where a car accident will occur. However, there are certain places where car crashes occur on a more regular basis, including intersections, rural roads, and parking lots. Regardless of where an accident takes place, being injured in a car crash can result in painful and debilitating injuries, which can be especially frustrating for those whose accidents were caused by someone else’s negligent or reckless conduct. Fortunately, injured parties who can demonstrate that another person was responsible for their crash may be able to collect damages from the at-fault party. To learn more about how to collect compensation for your losses, please contact an experienced car accident attorney who can advise you. According to a Progressive Insurance study published in 2004, as many as 52 percent of all nonfatal car accidents occur within five miles of a person’s home. The same study also found that a total of around 77 percent of accidents take place within 15 miles of a driver’s home. Many of these accidents occur in neighborhoods and include sideswiping parked cars and backing out of a driveway into a passing vehicle. Parking lots are another popular site of car accidents. Although most are minor crashes, backing into another vehicle, speeding, and sideswiping other cars can cause a substantial amount of damage to a vehicle. While many people expect a larger number of accidents to occur in urban areas, the reality is that far more fatal accidents take place on rural two lane roads. In fact, reliable data indicates that as many as 57 percent of all fatal car crashes occur on rural roads. Another surprising statistic is that 62 percent of fatal accidents do not occur on curves, but on straightaways, especially at night. Around 15 percent of fatal car crashes occur in intersections, while the remaining 85 percent take place on the open road. However, many non-fatal car crashes do take place in intersections as a result of improper left turns, violations of traffic laws, speeding, and distracted driving. Accidents that take place in intersections are often classified as t-bone crashes, which tend to cause more serious injuries, including whiplash, hearing damage, broken shoulders, and head trauma. Commuters are also at a higher risk of sustaining injuries in car crashes, especially if they travel in traffic consistently. Rush hour traffic is a popular site for minor fender benders caused by rear ending, which are often the result of distracted or fatigued driving. This is particularly true for those who must drive in traffic in the early morning hours and late at night. Car accidents tend to take people by surprise and can leave injured parties feeling helpless and unsure of what to do next. For this reason, it is critical for those who have been involved in a car crash to consult with an experienced car accident attorney. Please contact Sutliff & Stout by calling or texting 281-853-8446 today to speak with a member of our dedicated legal team about your options.